(HealthDay)—Team leaders who wear a blindfold during pediatric resuscitation simulation-based training show improved leadership skills compared with standard training teams, according to a study recently published in Frontiers in Pediatrics. 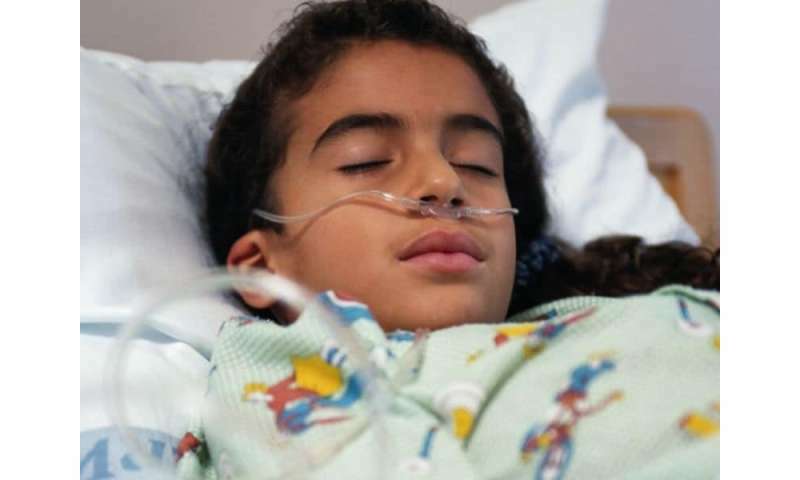 Michael Buyck, M.D., from Children's Hospital of Geneva, and colleagues assessed the effectiveness of using blindfolds to further improve leadership skills in pediatric resuscitation simulation-based training. Twelve teams, each consisting of a pediatric emergency fellow, a pediatric resident, and two pediatric emergency nurses, were randomly assigned to the blindfold group or the control group. The researchers found that in the blindfold group, improvement in leadership skills doubled versus the control group (11.4 versus 5.4 percent) after five simulations, with no increase in stress or decrease in satisfaction. The authors noted that part of the effect of blindfolding on leadership skills could have been due to an improvement in communication by the team as a whole. When simulation 5 was compared with simulation 1, the blindfold group was more likely to respond to instructions with audible confirmation of receipt of the instruction and completion of the task. "Doctors rely heavily on simulation training to prepare for rare emergencies, so even a modest improvement like this might help save lives," Buyck said in a statement. "Future studies should further assess the impact of blindfolded training at long-term follow-up sessions, and on clinical outcomes after pediatric resuscitation."